Today I will present to you my experience with a brightening cream from a company called Thalgo. This is one of those companies which I have kind of heard about but not really. You know when you might have come across a name in passing but not really know about it per say. I got this as a PR sample and as always I was totally game to try out a new brand. 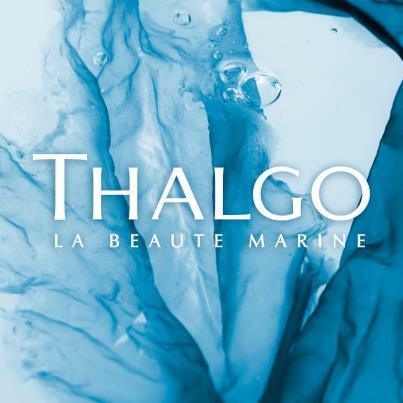 Thalgo is a brand from France which makes marine based product. There is a new treatment form being used in spas know as Thalasso therapy. The idea behind this is to use sea water and other marine products in treating various conditions of the body. According to the logic behind this therapy, it is easier for the body to absorb minerals from the sea since there is a similarity in their makeup. Thalgo products are used by a lot of the spas that offer this form of therapy. I have used a brightening emulsion from Shiseido earlier and I really did like that one. What it does is evens out the complexion and helps to bring a glow to the skin. It is not meant to lighten the skin tone aka act like a fairness product. Having had a good experience with a similar kind of product earlier I was excited to try this one out. Presently I’m having dry/combination skin and some pigmentation around my mouth. The product has a strange smell to it which I associate with marine based products. Sort of lingers on your skin for sometime after application. It was weird for me but not offensive. 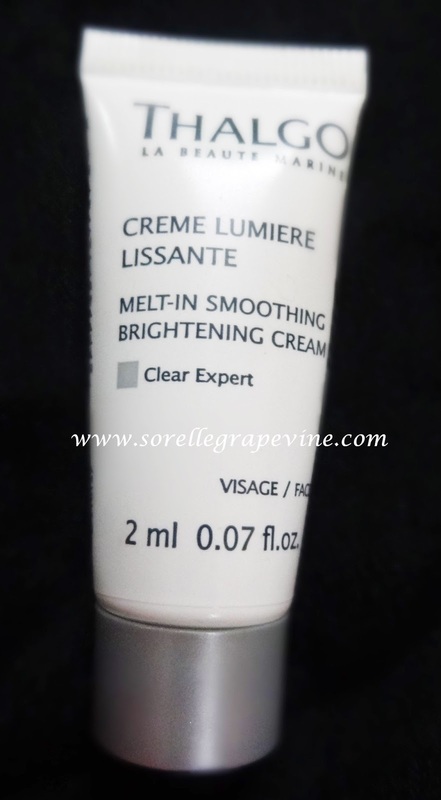 It has a cream like consistency which blends into your skin quickly. My dry cheeks drank it up but my T-zone had a slight film to it. I used this product for 6-7 days twice a day after cleaning my face. My face got a slight glow due to its use but there was no change in pigmentation that I could notice. I did notice some difference in the size of my pores. Mostly is helped to moisturize my skin. But since I was using it continuously I did get a break out or two. Though the duration of use has been to short to comment about concrete results I feel that this product is a little rich for my skin. I got a decent glow but that was it. 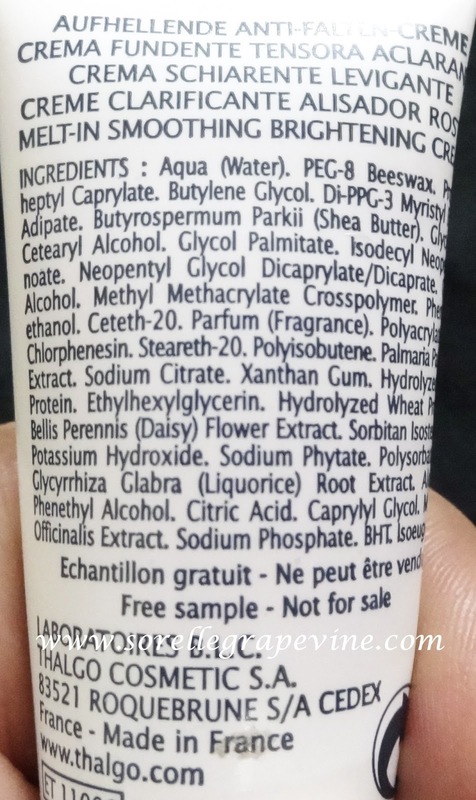 I don’t think I will be buying this particular product again since it is not meant for my skin type but I will look into this brand to see what they have that could work for me. If you are interested in purchasing something from this brand then Purplle has started stocking their stuff. This particular product is for Rs. 3645/- for 50 ml of product. So with that I’m done with another sample review. What are your thoughts on this brand and particular product? I’m interested in trying out their collagen range and seeing if it suits me or not. Do get back to me and let me know if you have tried anything from them. Until next time – Bye!